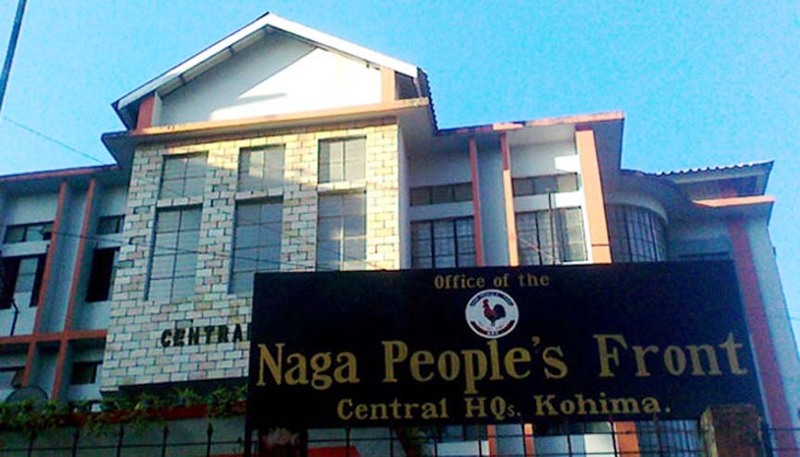 The Opposition Nagaland People’s Party (NPF) legislators continued their tirade on the PDA Government over the allocation of grant-in-aid and the Citizenship Bill. In a joint statement on Tuesday, two NPF MLAs – B.S. Nganlang Phom from Tamlu constituency in Longleng district and Pungro T. Torechu from Pungro constituency in Kiphire district – held Nagaland Chief Minister Neiphiu Rio, who is also minister in-charge of rural development department, responsible for alleged mismanagement of Rs 185.09 crore, which was released as additional grant-in-aid by NITI Aayog on November 8, 2017. They said the fund allocated by the high-level committee was ignored and sub-allocations were made un-systematically in total violation of the guidelines. The committee was constituted with the chief secretary as its chairman for allocation of the fund on December 13, 2017. On the Citizenship Bill, the two MLAs said Rio sought the attention of the Centre for its review only after the Opposition NPF raised the issue with reminders and sought NDPP-led Government’s stand on it. They said the fate of four communitised departments – School Education, Power, PHED and Health & Family Welfare – are at stake due to the unilateral decision taken by the “minister in-charge”. According to the two MLAs, the four departments had submitted their proposals with the schemes as per their requirements and the NITI Aayog approved them accordingly. After the high-level committee accorded sanction as per the requirement of the departments, the allocations were drastically reduced without consulting the departments concerned and committee, they alleged. The two Opposition MLAs further said only Dimapur and Peren districts received their shares out of the Rs 96 crore allocated by the high-level committee as grant-in-aid for the 74 rural development blocks covering 1238 village development boards in 11 districts. The fund was released by the finance department in March last year. “Under a paradigm where the voice of fellow MLAs and bureaucrats continue to face deaf ears while public funds are parked and kept on hold for several months without any valid reasons at the whims and fancies of few vested individuals, the Nagas can expect nothing more but disaster, socially, economically and politically,” they said. Further, the two MLAs said it was “unprincipled” for Rio to blame the NPF party for not raising the Citizenship (Amendment) Bill issue in 2016, saying he was the lone NPF MP in Lok Sabha then. “He should have educated the NPF party in the State and Naga people in general on the matter instead of pointing his finger at the party,” they stated. They also said Rio, as former Lok Sabha MP, should understand the proceedings of the Parliament and place before the public domain the ramifications of the bill will have on the Nagas for debate and take a clear stand. They pointed out that the controversial bill, passed by the Lok Sabha on January 8, cannot be reviewed after it is passed by the Rajya Sabha. The two MLAs also questioned why current Lok Sabha MP Tokheho Yepthomi did not raise his objection in Parliament before the bill was passed in the Lok Sabha. The Naga people need to understand why the chief minister and the Lok Sabha MP kept silent and woke up only after the bill was passed in the Lok Sabha, they said.